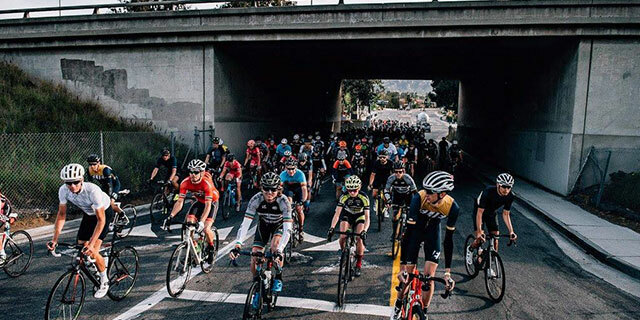 The April event season kicked off in sunny Carlsbad, California at the Canyon sponsored Belgian Waffle Ride. 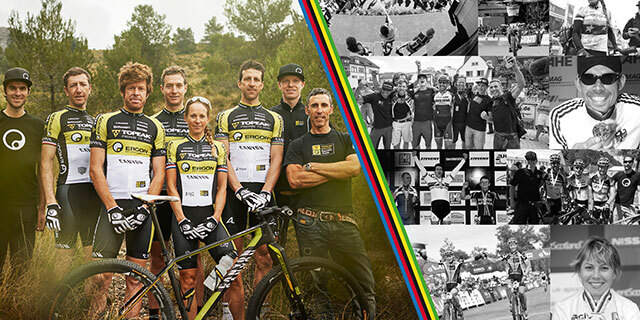 Five World Championship titles, three European championships, bronze at the Olympics, Cape Epic winners, four Leadville Trail 100 victories, tens of national championship titles, best times and track records, the Topeak-Ergon Racing team gave us 12 years of fun and delivered plenty of reasons to be proud. 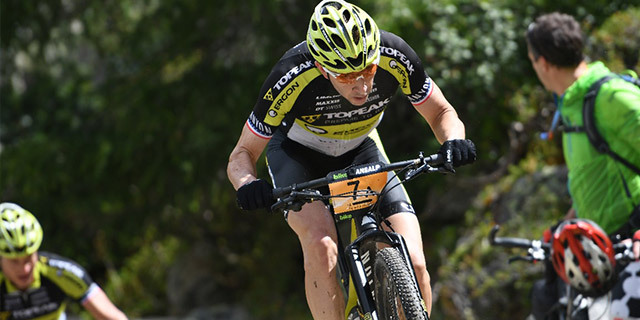 With an unexpected second place at the Canyon Roc Marathon at the Roc d'Azur in Fréjus, France, the Topeak-Ergon Racer Alban Lakata completes an extremely successful 2017 season. 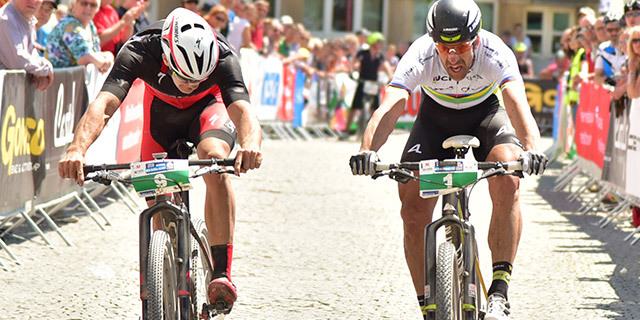 Marathon World Champion Alban Lakata added another medal to his collection. 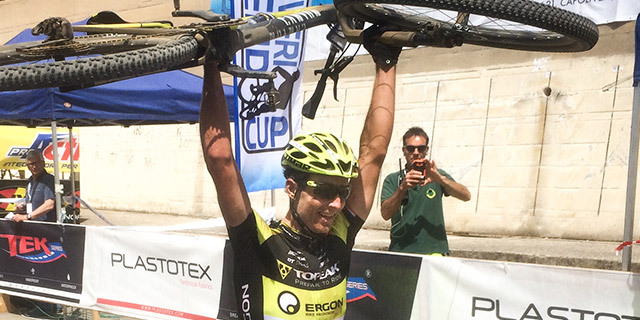 The Topeak-Ergon athlete won Silver at the European Marathon Championships in Svit, Slovakia. 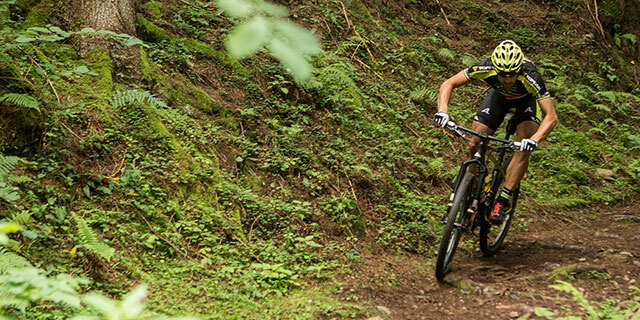 Only the icing on the cake is missing: The Topeak-Ergon duo of Kristian Hynek and Jeremiah Bishop finished the 20th edition of the Bike Transalp third overall after a total of four podium finishes along the way. 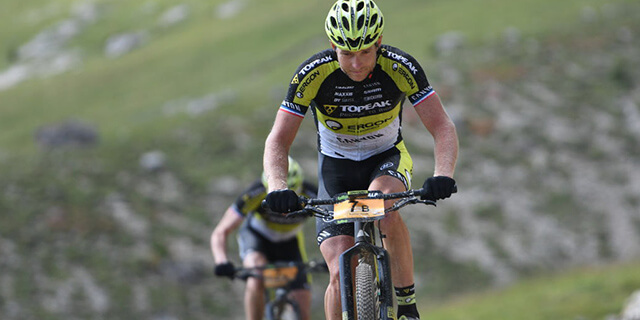 The newly assembled Topeak-Ergon Racing Team is still performing amazingly in the 20th edition of the Bike Transalp and successfully defends its place on the podium. A short-term change in partners, a bent pedal and a small piece of bad luck. 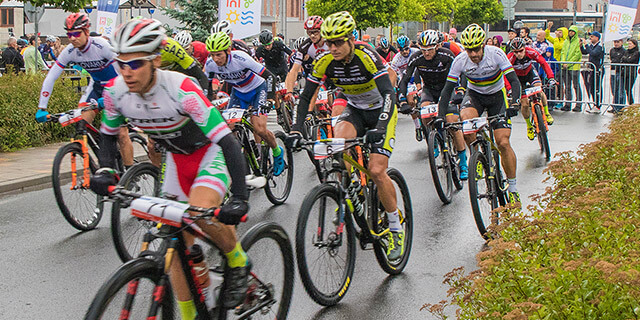 After the first stage from Mayerhofen (AUT) to Brixen (ITA), from the perspective of the Topeak-Ergon Racing Team, there was certainly something to report from the start of the 20th Bike Transalp. 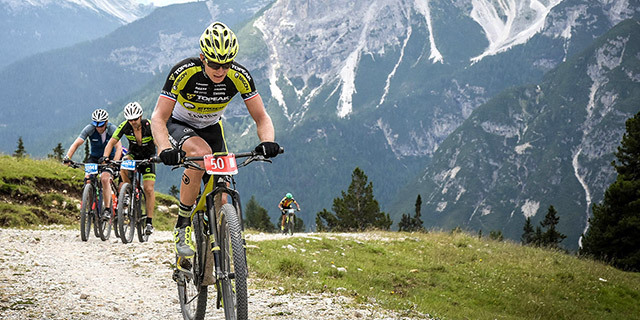 The 23rd edition of the Dolomiti Superbike serves the Topeak Ergon duo Kristian Hynek and Alban Lakata as a preparation for the Transalp next week. The Albanator has done it once again. 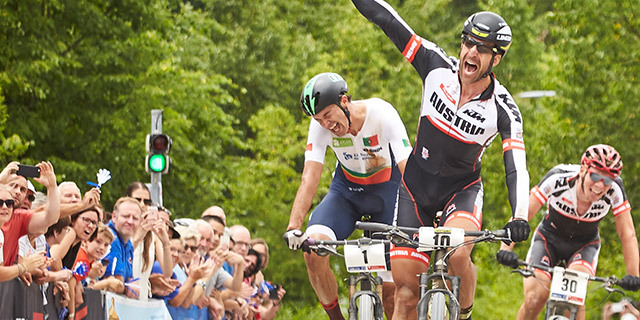 At the UCI Marathon World Championships in Singen/Germany, Alban Lakata takes home his third rainbow jersey on his 38th birthday. 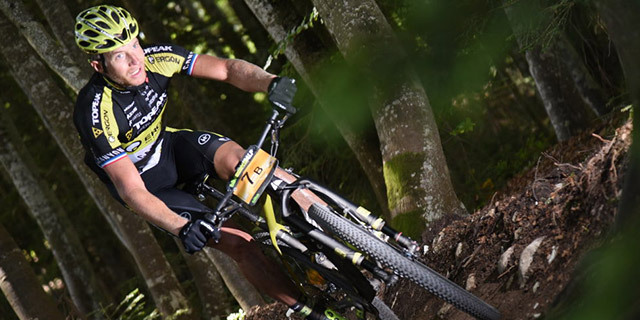 The two Topeak-Ergon pros Alban Lakata and Kristian Hynek will go hunting for medals on Sunday at the UCI Marathon World Championships in Singen. 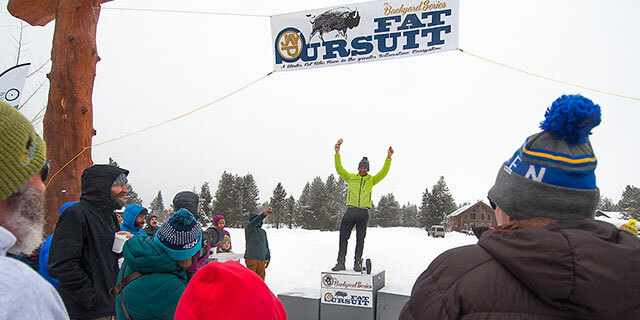 In his last competition before the World Championships, Alban Lakata takes the podium at the four-day Alpentour Trophy in Schladming, Austria. Experience, class and the right strategy: Krystian Hynek was able to repeat his previous year's victory at the Capoliveri Legend Cup on Elba. 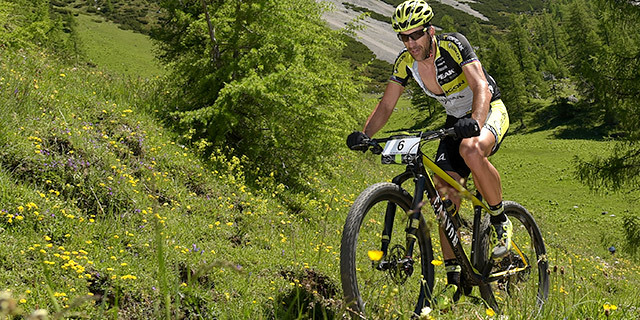 Moving in the right direction: Alban Lakata delivers a strong performance on the Ronda Extrema at the Gardasee Bike-Marathon in Riva and takes third place. 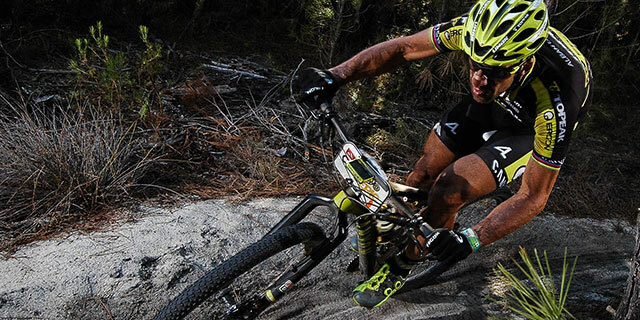 World Champion Runner-Up Alban Lakata managed a smooth reentry to competition four weeks after Cape Epic. 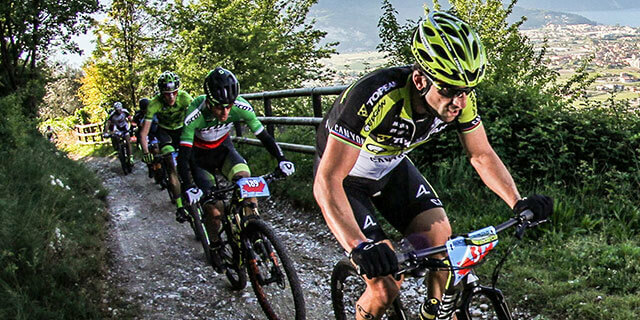 The Austrian took sixth place at the Tiliment Bike Marathon in Spilimbergo, Italy. 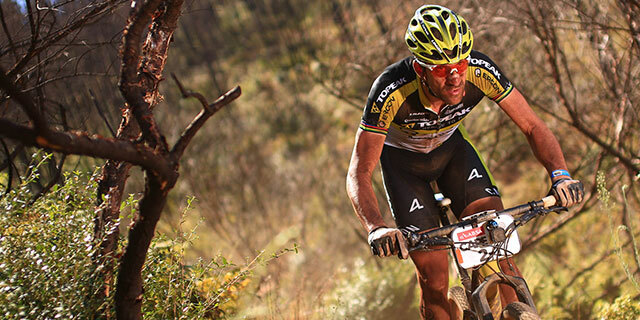 Alban Lakata and Kristian Hynek fought like lions at the 14th edition of the Cape Epic, combating external conditions and the body of the Austrian. Alban was almost crippled by an allergy, hurting the team’s chances for a successful race. It’s more of a fight against the heat, than against the competition. 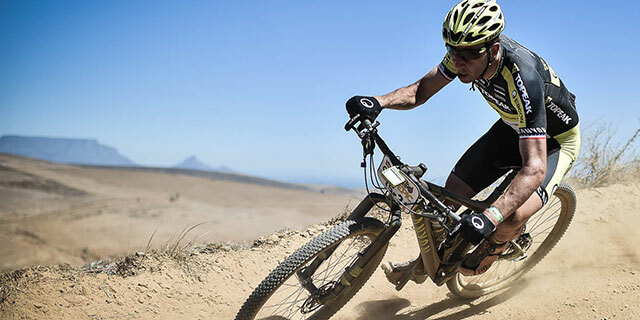 After 6 days Alban Lakata and Kristian Hynek nevertheless are in good position at the 14th edition of The Cape Epic in South Africa. 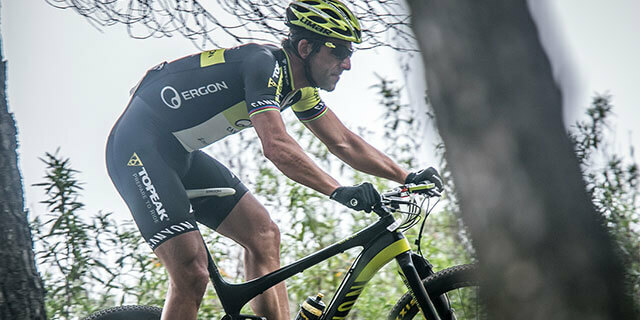 “Ready to rumble“ – Kristian Hynek and Alban Lakata are ready to take on Cape Epic 2017. 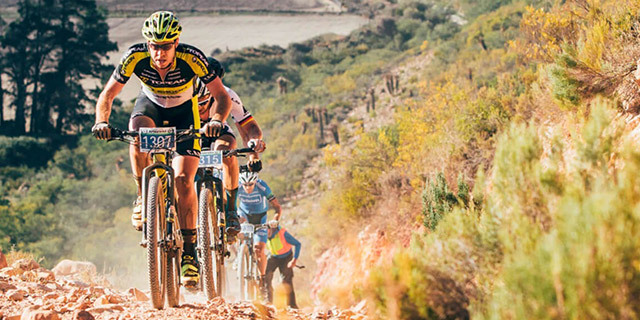 The 14th edition of the legendary mountain bike stage race across the untamed wilderness South Africa’s starts this Sunday in Meerendal. 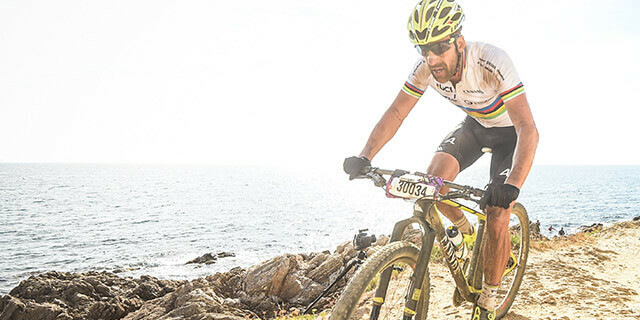 World Champion Runner-up Alban Lakata uses the 6-day Andalucia Bike Race in Cordoba and Linares as his last preparation building blocks for the Cape Epic 2017. 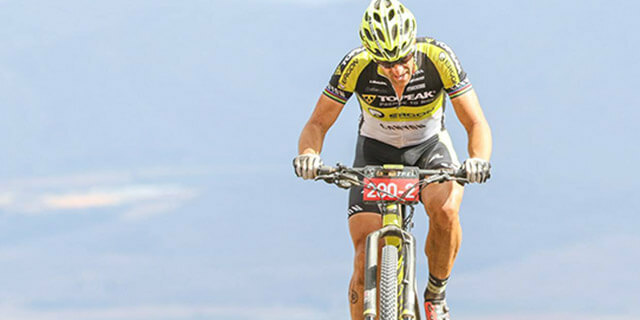 Five weeks to Cape Epic, Alban Lakata and Kristian Hynek conclude the three-day Tankwa trek stage race in South Africa in fifth place. 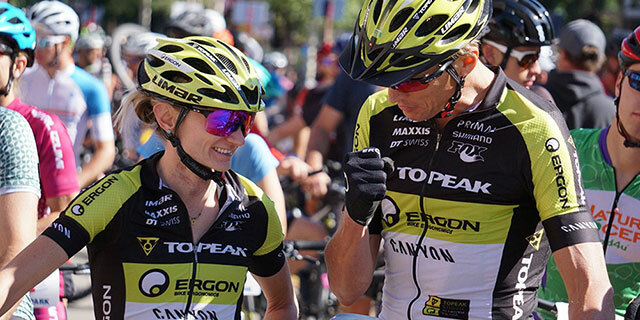 The Topeak-Ergon duo show themselves still confident. 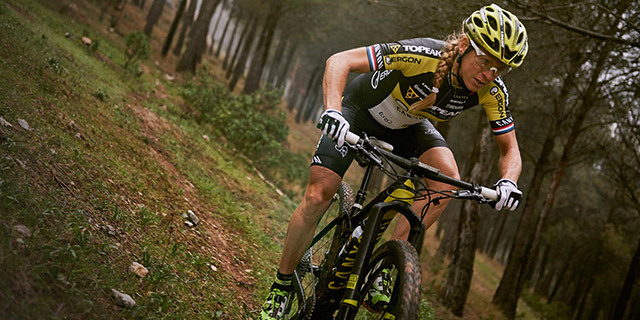 2016 was a very successful year for the Topeak-Ergon Racing Team and with her European Champion title, it might be even the most successful one for Sally Bigham. 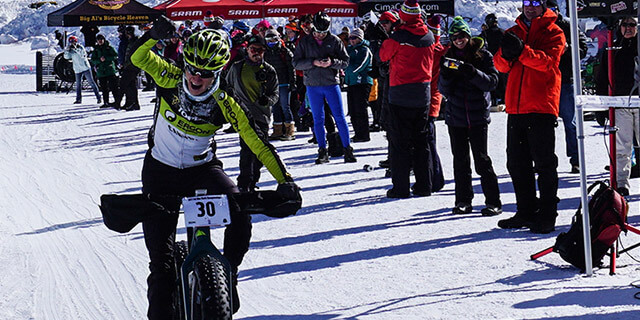 Topeak-Ergon takes its first winter championship title. 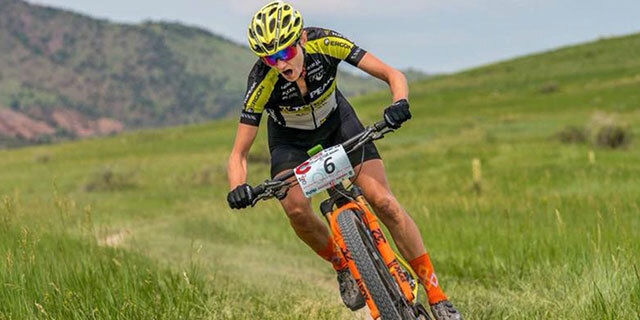 Karen Jarchow flexed her early season muscle and form in the artic temperatures of the high mountains of Colorado. 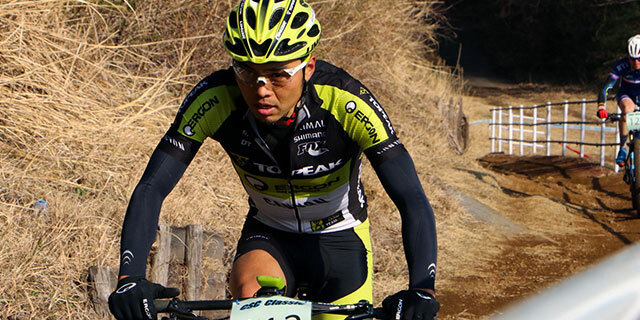 On the podium right at the beginning of the season: Kristian Hynek takes 2nd on the 121 kilometers of the Attakwas Extreme in South Africa. The best marathon team in the world strikes again! 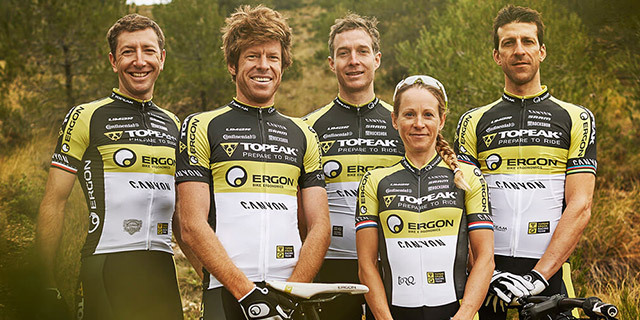 Three Topeak-Ergon athletes land on the Marathon World Championship podium in Laissac, France! 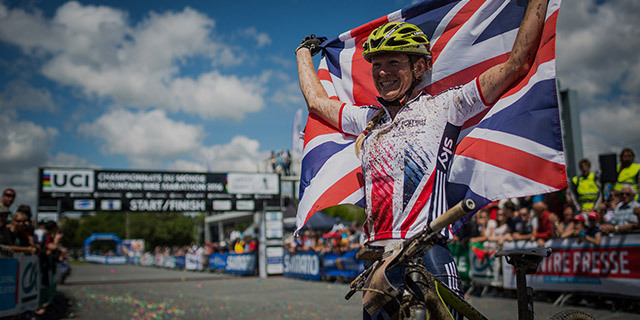 Sally Bigham celebrates in an impressive manner her first international champions title at the Marathon European Championships in Sigulda.